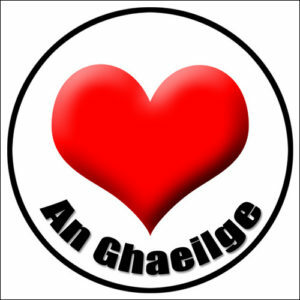 Bhí rang a haon ag Ceiliúradh Lá na Féile Pádraig agus Sheachtain na Gaeilge. Bhí craic mhór acu sa scoil, ghlac said páirt i gcomhrá le daoine eile. Chaith said éadaí glasa áille ar an Lá Glas. Rinne said iarracht an-mhaith an Ghaeilge a labhairt le chéile i rith na seachtaine. D’éisteamar le scéalta deasa Gaelacha i rith na seachtaine seo. Bhí an t-ádh orainn gur tháinig an tUasal Dan Ó Breacáin isteach inár rang chun ceol galánta a sheinm agus chun cluichí iontacha a imirt. An tseachtain seo, d’fhoghlaimíomar an t-amhrán ‘Báidín Fheilimí’ dár dtionól. Thaitin Seachtain na Gaeilge go mór linn agus táimid fíorbhuíoch d’Iníon Nic Amhalaí as an imeacht a eagrú.